11 November 2010 — Representative John Shimkus (R-IL), who said he opposed cap and trade legislation because God would not allow the Earth to be destroyed by global warming, is seeking the chairmanship of the House Energy and Commerce Committee. He has served on the committee since he was first elected to represent 19th District of Illinois in 1997. 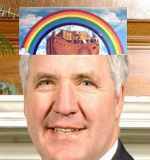 "I do believe in the Bible as the final word of God," Shimkus told Politico Wednesday. "And I do believe that God said the Earth would not be destroyed by a flood." — Read the full article at RawStory.com, 546 words. People gasped when they heard that the hand-made white poppy wreaths laid in a solemn ceremony by the White Poppy Collective at 12:45 pm on November 11, 2010 were stolen minutes after being set on the steps of the Cenotaph in Ottawa. There had been some interesting press originating from coverage of comments made by legion members in PEI who felt that the white poppies were stealing their thunder. These comments and others heard on radio talk shows and recounted in Letters to the Editor in theOttawa Citizen appear to be made by people who have no idea of where and when the idea of the white poppy came about. — Read the full article inside, 545 words. 10 November 2010 — It's a curious fact of Canada at war: each death in Afghanistan is front-page news, with a colour photo of the victim. But the wounded get little attention. The policy is to release the total number of wounded only once a year, and not to describe the nature of their wounds at all. This, presumably, denies the Taliban useful intelligence on how well their IEDs and rocket-propelled grenades are working. It also denies Canadians any sense of how many of our soldiers come home hurt, or who die of their wounds outside Afghanistan. We should know, and we owe the wounded respect and concern. So we're reduced to consulting Wikipedia for a rough sense of the suffering: as of the end of 2009, after almost seven years of combat, our forces suffered 1,442 non-fatal casualties. Of these, 913 were "non-battle injuries," with 529 "wounded in action." That's remarkably few compared to earlier wars. Of course we suspect the true number of non-fatal casualties is much higher. — Read the full article at TheTyee.ca, 995 words. 11 November 2010 — Kabul, Afghanistan - "We live in constant fear of suicide attacks," said Laila,* an Afghan woman who lives in Kandahar city and who visited with us yesterday. "When will the next one strike and where?" "Twelve days ago," she continued, "a good friend was walking home from the mosque. A four-minute walk. An IED was detonated, and my friend lost half his face. Another man lost his leg, and his son lost his leg, too. We live with that kind of uncertainty, when you don't know what is going to happen from one moment to the next." Laila's descriptions of living with fear and violence in Kandahar contradict the mild US descriptions of the "security situation" there. — Read the full article inside, 950 words. I so much enjoyed the article "Leave the monsters behind - you are more beautiful than you think". I just turned 66 in October and when I look in the mirror I have feelings of where my youth has disappeared but I also have feelings of contentment knowing that I have had such a special and lucky life. 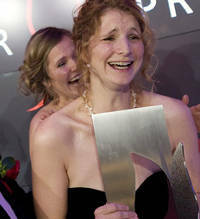 Alberte Villeneuve-Sinclair's article was just like a shot of adrenaline or a ray of sunshine to my soul. You are so right! You are beautiful. — Mary Lou Riley, Arnprior, Ont. Remembrance Day – Remembering who? Remembering what? 11 November 2010 — November 11 is the anniversary of the armistice marking the end of the First World War, although the Canadian Army in fact continued fighting until 1919, deploying units in Siberia, with many conscripts from Montréal and Quebec City, in an attempt to thwart the Bolshevik advance. This day also marks the peak of the campaign around the red poppy, the felt and plastic symbol produced and sold by the Royal Canadian Legion but first adopted in 1920 in the United States by the American Legion in reference to the poem “In Flanders Fields” by the Canadian soldier John McCrae. For the Canadian War Museum, in Ottawa, the poppy is used “to remember and honour the many thousands of ... fellow Canadians who have died in war.” The Canadian Legion evokes “the selfless acts of our troops from all wars”. So it is a celebration of all the wars conducted by Canada and of all Canadian soldiers, even those who are still fighting in Afghanistan. This call for remembrance omits some troubling truths. — Read the full article inside, 1,214 word. 9 November 2010 — Investigative journalists spend a lot of time thinking about whistleblowers. They encourage them to come forward, persuade them to talk, promise them anonymity, and sometimes they even risk going to jail to prevent their identities from being known. Whistleblowers have been key to many important exposes over the years, and they are a crucial component to investigative journalism. That’s why the current debate over WikiLeaks is both perplexing and troubling. The website, founded in 2006, is devoted to soliciting and publicizing important information from whistleblowers. So why are so many journalists, including some investigative reporters, raising questions about what WikiLeaks is doing? WikiLeaks has broken many stories in its brief history, posting everything from secret detention documents at Guantanamo Bay to a video showing American Apache helicopters firing at civilians in Baghdad. The stories have not endeared the site to U.S. authorities. But whistleblowers rarely lead a placid life after they make their information known, and media that transmit the information also often find themselves targeted for retribution. Just ask Daniel Ellsberg and the New York Times, both of whom faced threats, injunctions and prosecutions for their role in publishing the Vietnam-era Pentagon Papers. — Read the full article at J-Source.ca, 942 words. October 25 2010, NAGOYA, Japan — Civil society organizations at the 10th Conference of the Parties (COP10) to the Convention on Biological Diversity (CBD) have announced the winners of the Dodo Awards as the Convention begins its second week of negotiations. The Awards, named after the Dodo Bird -- the quintessential symbol of biodiversity loss -- signify governments’ failure to evolve. The CBD Alliance, a global network of civil society organizations involved in the CBD, named the European Union and Canada the ‘Dodos of the Week’, mainly due to their obstructive behavior in the Access and Benefit-Sharing process. The EU was named a Dodo as it has been the strongest opponent to the ABS Protocol against Biopiracy. As Chee Yoke Ling, of the Third World Network states: "We were hoping that the ABS Protocol would be a historic treaty to correct past and current injustices of biopiracy. Instead, in Nagoya, developed countries so far have promoted their own interests, closing their eyes to injustice." — Read the full article inside, 324 words. 4 November 2010, VANCOUVER, British Columbia — If you found yourself on the southern shore of False Creek at Westminster Avenue (now Main Street) on Saturday, Aug. 15, 1908 you would happen by opening day of Vancouver's City Market. The grand building with dual bell towers and a generous waterfront promenade is plastered with signs advertising retail and wholesale "farm products" for sale and a restaurant serving "meals at all hours." Rail tracks in the foreground illustrate the prime mode of transportation bringing food from the Fraser Valley to be sold at the market. The Mt. Pleasant marching band posing in full regalia is a testament to the community celebration accompanying opening day. Could B.C. 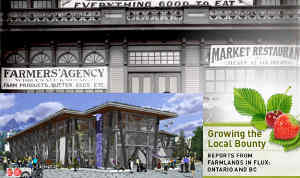 's biggest city today bring back to life so vibrant a public space, building a key component in what could be one of North America's most robust local food economies? — Read the full article at TheTyee.ca, 1,470 words. 9 November 2010 — A departing Conservative MP used publicly funded House of Commons resources to back his potential successor — a candidate who once headed the Canadian Taxpayers Federation and was a senior aide to the prime minister. "As we prepare for the next federal election, the following few months are extremely important. The prime minister wants the party to present the best slate of candidates possible in all 308 ridings," MP Greg Thompson wrote on Commons letterhead of the contest to replace him in New Brunswick Southwest. "I also believe it is important that you know exactly why I'm supporting John Williamson as our next Conservative candidate and MP." The letter, sent using parliamentary mailing privileges, is one of a list of grievances cited by local Tories over how the nomination contest unfolded in one of Canada's largest ridings. — Read the full article at CBC News, 887 words. 9 November 2010 — The Ontario Provincial Police Association and former OPP commissioner Julian Fantino are seeking $92,000 in court costs from the families of two men police shot and killed. Levi Schaeffer and Douglas Minty, one with psychiatric issues the other with intellectual challenges, were shot dead in 2009. In both cases police say the men came at them with a knife. The 83-year-old mother of one man, Evelyn Minty, said she would be severely impacted by having to pay police a portion of the police costs of defending the action. — Read the full article at The Toronto Star, 711 words. 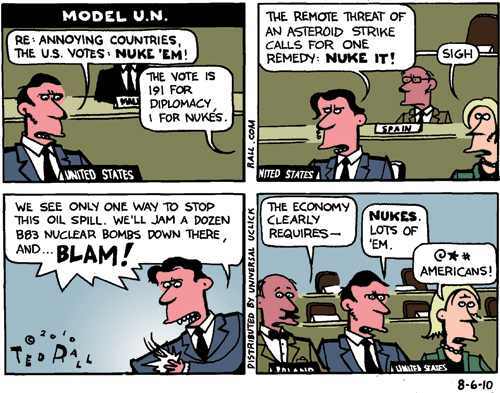 Payback for Security Council snub? 9 November 2010, JOHANNESBURG — Just weeks after losing a crucial vote for a seat on the United Nations Security Council, the Harper government is wrestling with a diplomatic move that could further damage its influence on the world stage. The government is considering the closing of several Canadian embassies in Africa, a move that has triggered alarm among many foreign-policy activists. Up to four embassies – including those in Cameroon, Zambia and Tunisia – are said to be on the chopping block. Since Canada has only 21 embassies in Africa today, the cuts would represent up to a fifth of its diplomatic posts on the continent. It would lead to accusations that the government is further neglecting Africa at a time of strained relations between Canada and Africa, especially after Ottawa failed to secure African votes in its bid for a Security Council seat. — Read the full article at The Globe and Mail, 706 words. 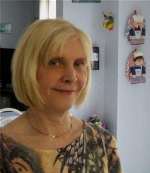 Sigrid Macdonald is an editor, book coach and the author of three books including Be Your Own Editor. Check her out at http://sigridmacdonald.blogspot.com/. 12 November 2010 — Aaron Sorkin earned a stellar reputation as the producer of West Wing, an idealistic TV show about a smart and sophisticated American president with good ethics and equally good policies. Having high expectations for a Sorkin production, I was disappointed in his current release,The Social Network. The Social Network is the story of Mark Zuckerberg, the co-founder of Facebook, which has 500 million users worldwide and is currently estimated to be worth $25 billion. That's no small feat for a 26-year-old entrepreneur. How did he do it? 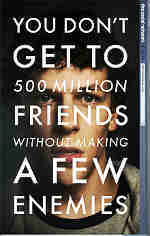 Zuckerberg, played beautifully by Jesse Eisenberg, is a 19-year-old student at Harvard as the movie opens. He is having drinks with his girlfriend, and manages to insult her and offend the audience within less than five minutes of crisp, sardonic dialogue. Sorkin establishes immediately that Zuckerberg is arrogant, insufferable and Mensa material, and we cheer when his girlfriend, Erica, breaks up with him. A frustrated and intoxicated Zuckerberg returns to his dorm, thinking that he will create a social media site where Harvard men can rate female students in terms of their attractiveness. He calls the site "FaceMash." It's a powerful scene, arguing that the birth of Facebook was motivated by teen angst and revenge. The only problem is that it never occurred. — Read the full article inside, 1,165 words. 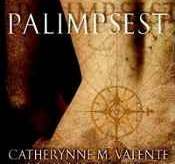 8 November 2010 — In a recent blog entry Catherynne M. Valente offered a sardonic reply to reviewers who have used phrases like "not for everyone" and "dense" to describe her work. "'Not for everyone' is certainly one--dude, no book is for everyone, why does this need to be said, even the most popular books have entire cultures of hate around them, if books were either black or white, for everyone or no one, then there'd be five books published a year and that would be it. No one would have to write reviews." Having now read the Hugo Award-nominated Palimpsest, I find it hard not to echo the phrase, "not for everyone". Read the full article inside, 1,121 words. Dear Margaret, I hope our paths cross again one day! 12 November 2010 — My wish finally came true last Monday as I joined my friends Carole and Denise for dinner at Mr. B’s on Bank Street. We were very excited because we were heading to the Southminster United Church in Ottawa afterwards to hear Margaret Trudeau talk about her life’s journey, her struggle with bipolar disease and how she has literally reframed her life to better cope with the condition. I had prepared a copy of “Unforgettable and unforgettably human encounters with Pierre and Margaret Trudeau”, one of my articles written for True North Perspective and hoped that we could somehow reconnect that evening. — Read the full article inside, 1,429 words. 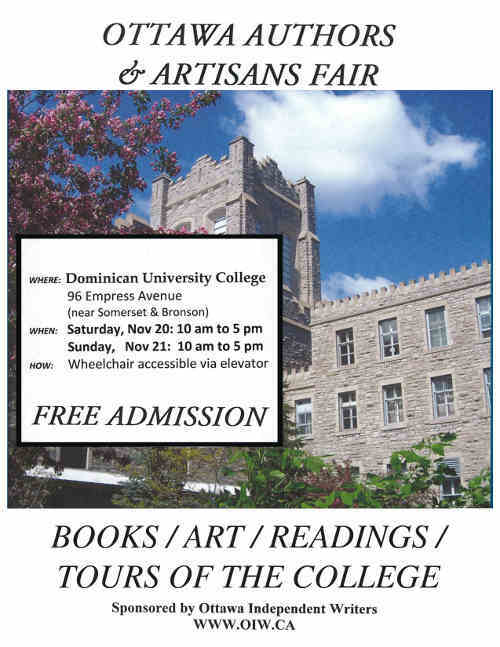 9 November 2010 — There's more evidence that picking up a second language may help delay the onset of Alzheimer's symptoms, Canadian researchers have found. The study in Tuesday's issue of the journal Neurology looked at the medical records of 211 patients diagnosed with probable Alzheimer's disease and found those who have spoken two or more languages consistently over many years experienced a delay in the onset of their symptoms by as much as five years. It is thought that speaking more than one language might help the brain build up reserves that help it cope better when Alzheimer's symptoms hit, the researchers said. — Read the full article at CBC News, 285 words. 12 November 2010 — At a conference on combatting Anti Semitism held on Parliament Hill in Ottawa during the week of Nov. 7, the prime minister minced no words when he affirmed his stand against anti Semitism and his support of Israel. For once, Michael Ignatieff, the leader of the opposition agreed with him. Irvin Cotler who once upon a time was minister of justice and attorney general, informed the participants and parliamentarians from countries around the globe that there was a new form of anti Semitism abroad. I also am against anti Semitism. I have seen its results at first hand as my family fled from the Nazi takeover of Czechoslovakia in 1939. Among us were a number of Jews seeking safety in Britain. On coming to Canada I was shocked to see evidence of hatred for Jews. My grade six teacher in Toronto took me aside shortly after my arrival she questioned me, “ Hanns, are you Jewish?” When I answered in the negative she amazed me by saying, “I am so glad because I don’t like Jews.” — Read the full article inside, 813 words. 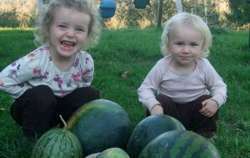 10 November 2010 — Watermelons are a difficult crop, but well worth the effort when they grow well. They need heat, lots of water, weeding and more heat. We started growing melons two years ago as an experiment. When we sent a bunch to market for the first time we had to figure out a price — we had no precedent. Once our costs were considered, we figured that we would have to charge the same price we have for our squash -- $1.25/lb. This came as quite a shock to customers who normally pay $0.29/lb for conventional melons in the stores through the summer. After various comments about the price that first week, we discussed whether we needed to lower the price. So, consider this: each melon requires about 190 litres of irrigation water. It makes sense when you think of the primary ingredient of a watermelon: water. In fact, a number of customers noted that our price seemed rather high when most of the fruit is water (of course, they still line up to pay $3.00/lb for tomatoes that are 94 per cent water and $2.50/bunch for spinach that is 92 per cent water). — Read the full article at The Tyee.ca, 1,641 words. November 9, 2010, OTTAWA — Civil-military relations in Western democracies tend to be governed by two basic rules. First, the national state controls the use of military force, its last resort in maintaining domestic order. Secondly, the elected politicians control the military in accord with the nation’s laws, thus making the politicians ultimately accountable for the use of force. In Canada, the military can provide Aid to the Civil Power, putting troops on the street in a crisis. This is an essential role, but the way in which this can be done requires clarification. — Read the full article inside, 756 words. 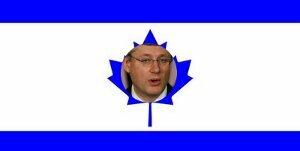 10 November 2010 — Watching and listening to Stephen Harper's bizarre and unnerving speech about anti-Semitism and Israel raises the question as to whether or not the man is mentally fit to be prime minister. "[As] long as I am Prime Minister, whether it is at the United Nations, the Francophonie, or anywhere else, Canada will take that stand whatever the cost. I say this, not just because it is the right thing to do, but because history shows us, and the ideology of the anti-Israeli mob tell us all too well if we listen to it, that those who threaten the existence of the Jewish people are a threat to all of us." His dedication to that country supersedes his commitment to his own. That would be disturbing enough if Harper were merely a private citizen. But as prime minister it is beyond the pale and it isn't much of a stretch to suggest it borders on the betrayal of Canada and certainly Canadian interests. — Read the full article at Rabble.ca, 983 words. 12 November 2010 — If the G20 is going to be nothing more than a talking shop on economic issues, they ought at least to talk about the economic problems that really matter, and the ones they can do something about. Not that currency values don't matter – they are actually very important. And it is interesting to see them getting some attention, after the media ignored, for example, the fact that an overvalued dollar was the main cause of the United States's loss of nearly a third of its manufacturing jobs over the last decade. But we are many years, if not decades, away from a multilateral agreement on currencies. It took a Great Depression and the second world war to get us the Bretton Woods system of fixed exchange rates; the current group of governments will never resolve something this difficult when they can't even come up with a coherent analysis of the problem. — Read the full article at The Guardian, words. 4 November 2010 — You couldn't turn on the TV news or pick up a paper during the election season without stumbling across the latest political poll and the pros explaining how to parse it, or some set of commentators, pundits, and reporters placing their bets on the election results. The media, of course, loves a political horse race and, as those 2010 midterms approached, you could easily feel like you weren't catching the news but visiting an Off-Track Betting parlor. Fortified by rounds of new polls and all those talking heads calibrating and recalibrating prospective winners and losers, seats “leaning Democratic” and “leaning Republican,” the election season essentially became an endless handicapping session. This is how American politics is now framed -- as a months or years-long serial election for which November 2nd is a kind of hangover. Then, only weeks after the results are in, the next set of polls will be out and election 2012, the Big Show, will be on the agenda with all the regular handicappers starting to gather at all the usual places. Doesn’t it strike you as odd, though, that this mania for handicapping remains so parochially electoral? After all, it could be applied to so many things, including the state of the world at large as seen from Washington. So consider this my one-man tip sheet on what you could think of as the global midterms, focused on prospective winners and losers, as well as those “on the cusp,” including crucial countries and key personalities. — Read the full article at AlterNet.org, 4,125 words. In a recent article, Ken Pollack of the Brookings Institution wrote that an attack of the sort that Sen. Graham is calling for “will likely mean the end of the international effort to contain the Iranian nuclear program altogether”: — Read the full article at ThinkProgress.org, 622 words. 6 November 2010 — AFTER his “shellacking,” President Obama had to do something. But who had the bright idea of scheduling his visit to India for right after this election? The Democrats’ failure to create jobs was at the heart of the shellacking. Nothing says “outsourcing” to the American public more succinctly than India. But the White House didn’t figure this out until the eve of Obama’s Friday departure, when it hastilyrebranded his trip as a jobs mission. Perhaps the president should visit one of the Indian call centers policing Americans’ credit-card debts to feel our pain. Optics matter. If Washington is tumbling into a political crisis as the recovery continues to lag, maybe the president shouldn’t get out of Dodge. If the White House couldn’t fill a 13,000-seat arena in blue Cleveland the weekend before the midterms, maybe it shouldn’t have sent the president there. If an administration charged with confronting a Great Recession knew that its nominee for secretary of the Treasuryserially cut corners on his taxes, maybe it should have considered other options. Shoulda, woulda, coulda. Well, here we are. True, the big things matter more than the optics. Unfortunately, they are a mess too. — Read the full article at The New York Times, 1,643 words. 7 November 2010 — Eight years ago Ben Bernanke, already a governor at the Federal Reserve although not yet chairman, spoke at a conference honoring Milton Friedman. He closed his talk by addressing Friedman’s famous claim that the Fed was responsible for the Great Depression, because it failed to do what was necessary to save the economy. Famous last words. For we are, in fact, doing it again. It’s true that things aren’t as bad as they were during the worst of the Depression. But that’s not saying much. And as in the 1930s, every proposal to do something to improve the situation is met with a firestorm of opposition and criticism. As a result, by the time the actual policy emerges, it’s watered down to such an extent that it’s almost guaranteed to fail. — Read the full article at The New York Times, 845 words. 29 October 2010 — This new Spiderman-style suit may not win astronauts a spot in the fashion hall of fame, but it could help keep their bones intact during long spaceflights. Described in a new paper, prototype tests of the Gravity Loading Countermeasure Skinsuit, being developed by a research team at MIT’s Man-Vehicle Laboratory, show that the suit simulates the effects of gravity on the human body, which could solve one of the biggest obstacles to future human space travel. — Read the full article at PopSci.com, 394 words. 5 November 2010 — The polar ice caps are melting, damaging habitats and robbing animals of their basic resources. 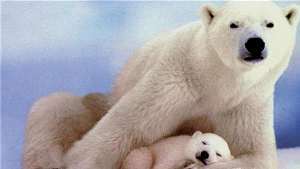 But polar bears have a decent chance of surviving the upheaval, thanks to snow goose eggs...and a little random good luck. If an animal moves from one habitat to another - or if their habitat changes around them - there's no guarantee that the new environment will have the resources necessary for the species' continued survival. Successful ecosystems have to pull off a tricky balancing act so that predators can maintain their numbers without ever quite hunting their prey to extinction, and a new predator in an existing ecosystem is just as likely to wipe out their food resources as anything else. — Read the full article at Io9.com, words. One of the highest-ranking CIA officers ever convicted of espionage pleaded guilty Monday to fresh charges of spying for Russia from his jail cell after employing his son to do his dirty work. Harold Nicholson, 59, was sentenced to 23-and-a-half years in jail in 1997 for selling the Kremlin sensitive information believed to include the identities of several American spies working in Russia. On Monday, the former CIA chief of station in Romania, earned himself the dubious distinction of becoming the first American spy to face two sets of criminal charges stemming from the same events. — Read the full article at AlterNet.org, words. 9 November 2010 — The extensive pipeline system that moves oil, gas and waste throughout BP's operations in Alaska is plagued by severe corrosion, according to an internal maintenance report generated four weeks ago. The document, obtained by ProPublica, shows that as of Oct. 1, 2010 at least 148 BP pipelines on Alaska's North Slope received an "F-rank" from the company. According to BP oilworkers, that means inspections have determined that more than 80 percent of the pipe wall is corroded and could rupture. Most of those lines carry toxic or flammable substances. Many of the metal walls of the F-ranked pipes are worn to within a few thousandths of an inch of bursting, according to the document, risking an explosion or spills. — Read the full article at AlterNet.org, 1,348 words. 10 November 2010 — The young Montreal writer Johanna Skibsrud, whose debut novel The Sentimentalists looked set to languish in obscurity after meagre reviews and sales of just a few hundred copies, has landed Canada's most prestigious literary award – the $50,000 Scotiabank Giller prize. 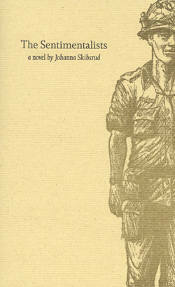 Skibsrud, published by tiny Nova Scotia outfitGaspereau Press, is the first debut novelist to take the prize since 1999. While the Giller prize is hugely popular in Canada and brings its winners a big boost in sales, The Sentimentalists may still face a few hiccups on its journey to bestsellerdom. By all accounts some bookshops are still without copies as Gaspereau Press – which prides itself on the quality of its handcrafted copies – races to produce enough stock to meet demand. Gaspereau printer and publisher Andrew Steeves described himself "printing jackets through the night" to have enough copies of the book available for readings at the International Festival of Authors in Toronto last weekend. — Read the full article at The Guardian, 470 words.